One day Square Enix will have a name for an entry in this series that actually makes sense. The second Kingdom Hearts remaster/compilation title, Kingdom Hearts HD 2.5 ReMIX (I wish I knew who came up with that name though, it’s positively a crime against humanity) is here, and Square Enix is trying to tickle people’s nostalgia bone by releasing more and more new trailers and media on the game. Thus, for example, take this. This is a new batch of trailers; the first trailer, ‘Worlds Connect,’ shows off the most treasured Square Enix and Disney properties crossing over through multiple Disney worlds. The second trailer- ‘Original Characters and Cameos Worlds Connect-‘ shows off Square Enix characters from across Final Fantasy games interacting as they make their way through Kingdom Hearts’ (increasingly convoluted) story. 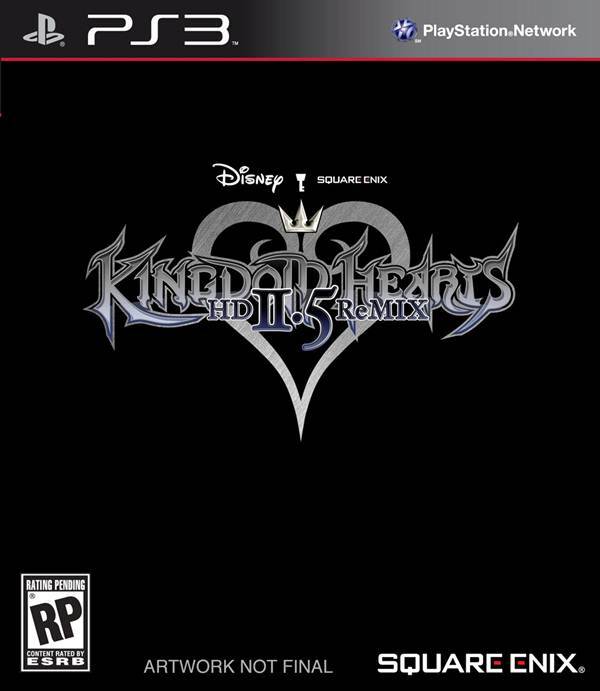 Kingdom Hearts HD 2.5 ReMIX is available on the PlayStation 3; it includes Kingdom Hearts II Final Mix and Kingdom Hearts: Birth By Sleep fully playable, with other Kingdom Hearts games from the second act of the series’ story available as cutscenes. The first compilation collection, Kingdom Hearts HD 1.5 ReMIX, was also released on the PlayStation 3.